Start taking classes at Green Door Fitness and other studios! Coaches on standby waiting to guide you to your goals. They are there to design, implement and structure your workouts. 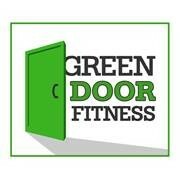 Green Door Fitness is a boutique gym giving all users personal attention from certified trainers. Show up ready to go; bring gym clothes, shoes and a great attitude! MOST IMPORTANT is to HAVE FUN!!! 6:30am Time was nice and quiet; only about 5 other people working out. I warmed up on rowing machine and then the trainer gave me 3 circuits to complete for a full body weight training workout. The gym time was actually an hour of personal training. I told the trainer what I was looking to work on and a custom circuit was created for me! I explained I was trying to get back in shape for ski season and add in some core and cardio. Everything was incorporated into the workout. All of the trainers were very friendly and professional. I will definitely be back. Michael was great! loved the workout. always nice to change it up! Equipment and facilities are not fancy or new, but the coach I met with gave me a solid work out. I enjoyed the guidance but also space to do the exercises on my own. At first, I felt awkward walking in, because there is not a formal place to check in and I could not tell who was working there vs. working out. Great boutique gym to drop in for your own workout. Friendly staff and quality equipment. Wow, this place is great! The staff member that greeted me was friendly. You basically get personal training depending on what you want to work on, are training for, or just an all-over workout. The workout I got was fantastic and challenging, just what I was looking for! The space is very narrow and claustrophobic. When I walked in I had to walk over two people and a dog to greet the employee who was very rude. All of the equipment is very close together. It would be a nice place if there weren't many people there but otherwise you are squished in a tiny space. I did not stay to work out because I felt squished and the greeting received by the employee was not welcoming. I was disappointed because this gym is in my neighborhood and would have otherwise been very convenient.